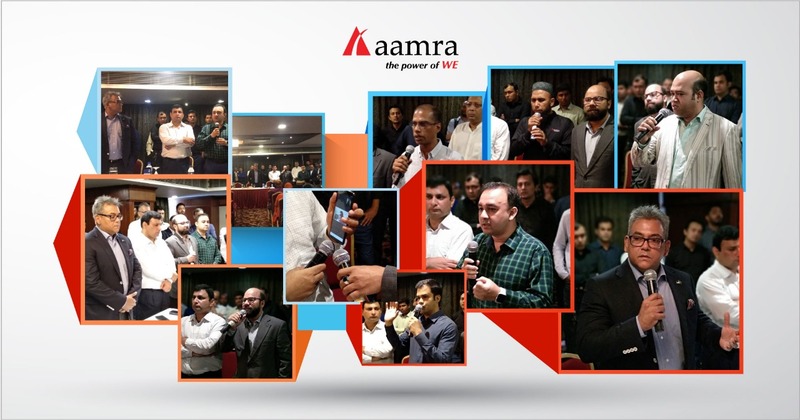 In the aftermath of this incident, aamra colleagues gathered in an emergency “Town Hall Meeting” on 31 March 2019 morning. In this sombre and emotional gathering, aamra family observed a minute of silence in honour of the departed victims of FR Tower fire. These faces were with us in the lift line three days back, now they are no more. This event also recognised a group of aamra team who had reached to safety themselves, but selflessly went up the adjacent building and rescued more than 20 aamra employees who were stuck in 9th floor of FR tower. Such display of heroism is rare and unheard of. The ghastly fire tested aamra, together we prevailed! This is a deeply devastating event for everyone of aamra family. But we are thankful that even in the time of grave crisis, our systems and people kept on serving our valued clients. aamra teams worked round the clock to ensure that our infrastructure is up and running. The entire aamra contingent are working day and night to serve our customers. Our MD Sir Syed Farhad Ahmed said – “It is a great blessing of Allah and the prayers of our family members for which we are safe today. It is the ‘power of WE’ that binds us together in these difficult times. Having survived this great calamity, we must ensure that we keep serving our clients with integrity and diligence”. We are thankful to our clients, partners, bankers, shareholders and friends who supported during these difficult times. We assure our clients of our utmost commitment and diligence. We may be struck by a disaster, but we are up and running and stronger than anytime before! We may be shaken by this terrible event, but we are together and ever-committed to serve our customers!